Early this year, I was very intrigued by Givenchy's various face makeup products from pressed face powders, blushers to bronzers. They come in different color combinations that look soft and sophisticated. Prismissime Mat & Glow in limited-edition #73 Sun Caramel from Givenchy summer 2009 collection is my very first Givenchy face makeup item. 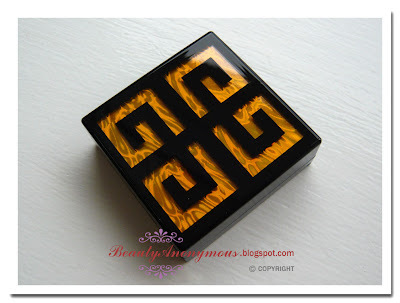 Prismissime is a collection of compact powder that features nine colors for eyes or the face. The lineup includes Prismissime Eyes 9-Colors Eyeshadow, Prismissime Face & Eye Powder, Prismissime Mat & Glow, and Prismissime Compact Powder, etc. Prismissime Mat & Glow #73 Sun Caramel features nine shades for face as a bronzer. The nine shades can be blended together or applied individually. The three colors in the middle row contain pearlescent shimmer, and the rest of the six colors feature very fine shimmer. 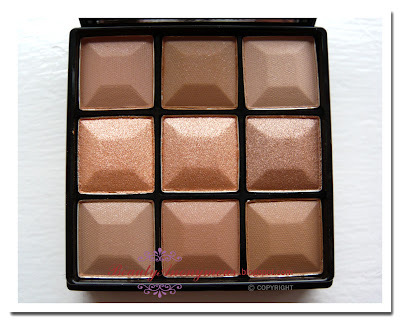 The shimmery colors in the middle row and the four shades at the corners are light-pigmented. The middle colors at the top and bottom rows are pigmented. The colors are buildable and blend well together. The pearlescent shimmer looks very intense in the pans. But it goes on soft and subtle. The shimmer adheres to the skin well, and illuminates the cheek bones nicely for an instant "firming" and "lifting-up" effect. The shimmer in the colors from the top and bottom rows are rather refined and muted. The colors go on nearly matte. #73 Sun Caramel is scented with Givenchy Radiant Blossom fragrance.The scent is lightly floral without being overpowering. The compact is relatively small, compared to my Dior Bronze Matte Sunshine SPF20 #002 Honey Matte and Maquillage Face Creator 3D #22 Nuance Beige. This compact powder is in a good size for travelling. The enclosed brush, however, is the only drawback. I found the bristles are a little too stiff. I hope the bristles could be much more thicker and fuller to make the blending application more easily. The combination of pearlescent gold shimmer, peach, red and beige brown-hued colors gives the skin a warm yet soft result when applied with a light hand. 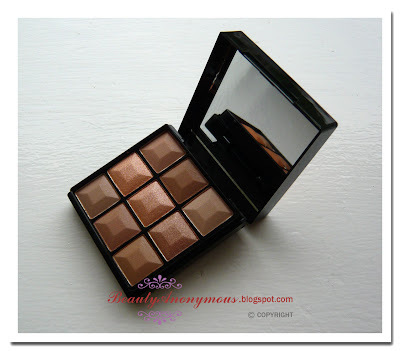 As a few of the colors in this compact are very pigmented, the finish can get too orangey brown for my fair skin when too much amount of the shades is applied. The texture is silky smooth, and the light floral scent is lovely. Overall, I am impressed with this 9-color bronzer. 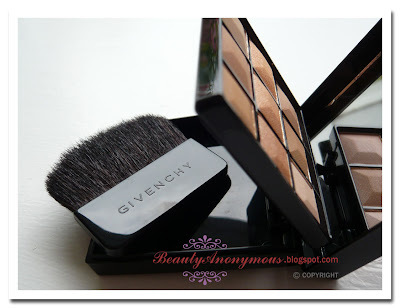 I look forward to seeing new seasonal colors of Givenchy Prismissime Mat & Glow. 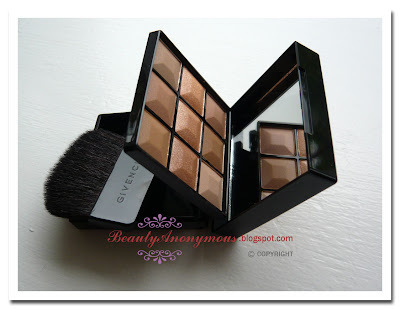 Betsy of Autumn Masquerade also shares her thoughts on Givenchy Prismissime Mat & Glow #73 Sun Caramel in this post. Do head over and check it out!